It's not everyday you come across a pair of well designed headphones, but it seems that the Swedish know modern design. 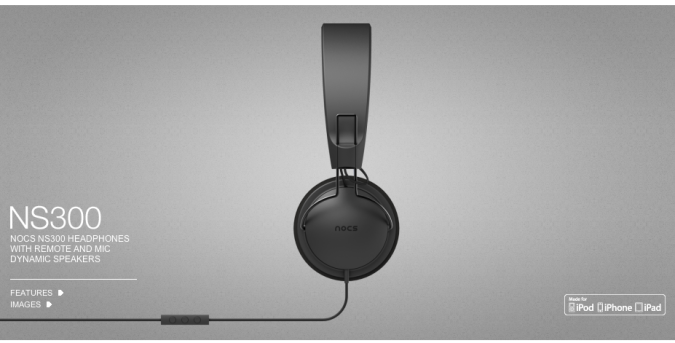 Nocs is a Swedish headphone and earphone maker, much like the more worldwide known JAYS. All of Nocs audio products have a very modern look, you can be the judge of that though. I would like to know if they actually sound as good as they look, from what Nocs are saying, these babies have a warm and rich sound with heavy bass. The NS300 headphones pictured above, have an inline remote and mic for $79. They also come in five other colors.